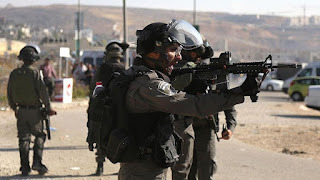 Among the victims, who included four children and nine women, three were critically injured by Israeli gunshots in the head, while the remaining others sustained various injuries, the report said. Despite the hot weather in a day of Ramadan, the holy month of fasting for Muslims, Palestinians continued to protest along the eastern border of the Gaza Strip. Over 120 Palestinians have been killed and thousands of others injured by Israeli security forces since the outbreak of the Great March of Return protests near the Gaza-Israel border on March 30. The Palestinians demonstrated for their right of return to their pre-1948 homes in the historical Palestine.